Lothar Götz room in "The Art of Perception"
The last gallery in the excellent exhibition at Compton Verney The Art of Perception contains a mural by Lothar Götz. I couldn't resist taking some photos (above), although they look like everyone else's photos of the room, that is simple and effective. 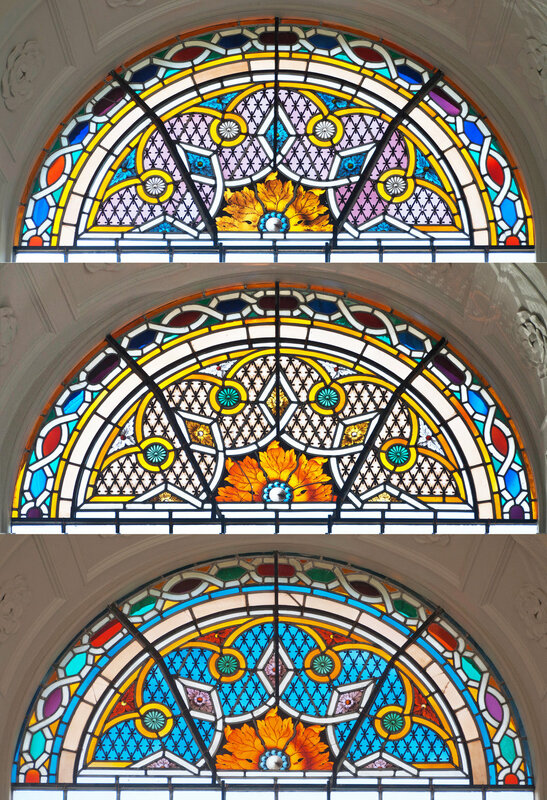 The colour combinations however are not simple, and they remind me a lot of the restored eighteenth century glass in the newly restored Compton Verney Chapel, the colours in the middle one of the three (top window, below) match the mural particularly well. The chapel, built between 1776 and 1780, is a rare example of a place of worship designed by Capability Brown. 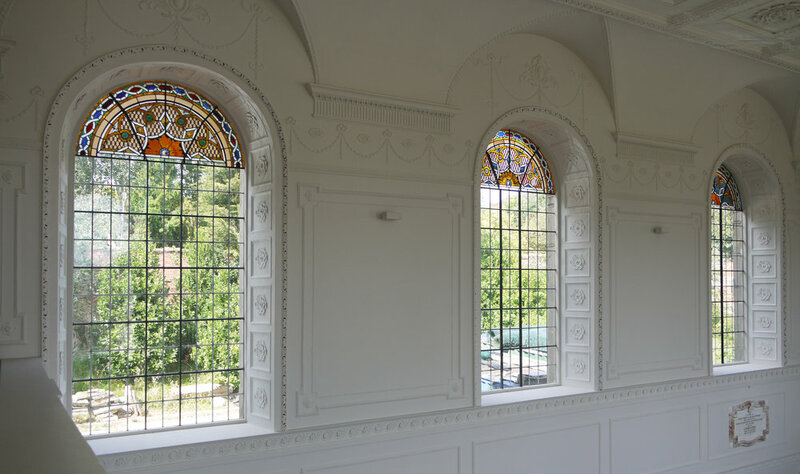 The beautiful white interior has been restored, and the windows replaced with leaded lights containing hand-made glass, most of it clear as much of the medieval glass fragments that the original windows contained had been sold off in the 1920s. 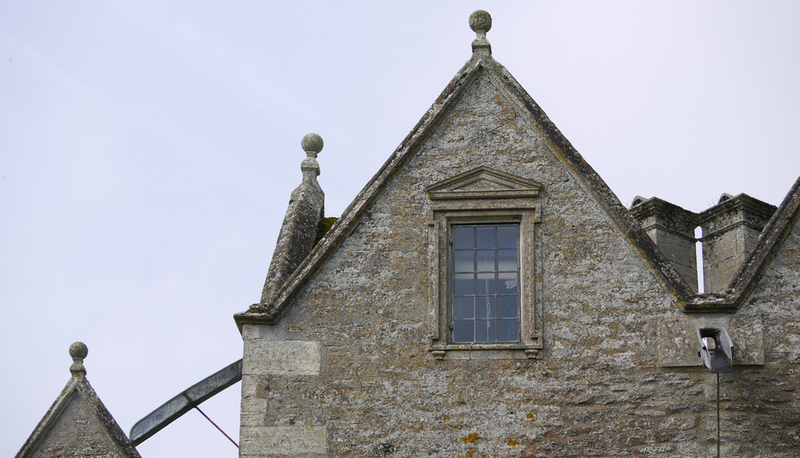 What remains of the eighteenth century glazing are the three window tops on the north side in the glaring colours you see in stained glass from this period. I love these type of windows, with complicated decorative patterns and bits of detailed painting, where geometry clashes with nature. 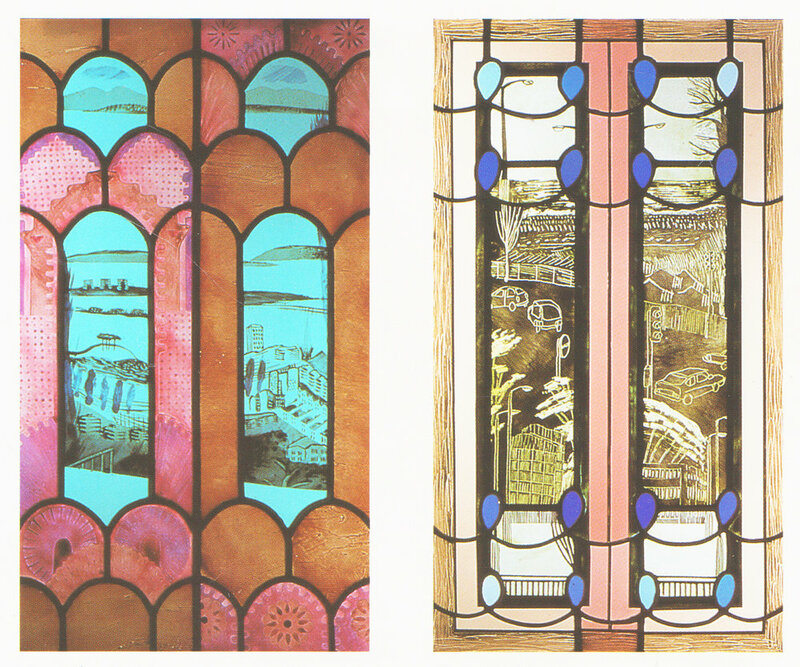 The link I have made to my own work goes right back to 1995, and a series of small windows made during a residency in Bournemouth and Poole (below). It's not only the loops, but also the pink/blue/orange combination and the thrill of putting clashing patterns and details up against each other.